THE B-MOVIE NEWS VAULT: Tristan Clay's RED EYE is Now Available on All Digital Platforms! Tristan Clay's RED EYE is Now Available on All Digital Platforms! 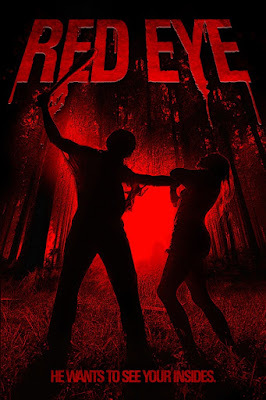 "RED EYE" WANTS TO SEE YOUR INSIDES IN NEW INDIE SLASHER FLICK! STREAM OR DOWNLOAD IT TODAY! Slasher cinema is still alive and well, as evidenced by RED EYE. Featuring a masked backwoods killer, Tristan Clay's film looks to keep the torch burning for a sub-genre that peaked back in the 80s. RED EYE is currently available on iTunes, Amazon, Vudu, Google Play, and Xbox Live! Synopsis: There's a legend about a violent, deranged masked murderer, who dwells in the backwoods of Black Creek, West Virginia. Gage Barker (Scott King), a young man who grew up on the tales of "Red Eye" as a kid, learns that there could be some truth behind these folk tales. With a group of his friends and his camera equipment in tow, Gage hikes into the woods to seek out the legendary killer, or prove that he is nothing more than a myth. But the would-be documentary filmmakers soon learn that they should have left well enough alone! Directed by Tristan Clay, RED EYE stars Destinie Orndoff, Scott King, Heather Dorff and Hayden Wilberger. The film was nominated for “Best Feature,” “Best Director,” “Best Producer,” “Best Actress (Heather Dorff),” “Best Actor (Scott King),” and “Best SPFX” at the San Antonio Horrific Film Fest (2017)! You can watch RED EYE on Amazon Instant Video right now! And if you have an Amazon Prime Membership, you can stream it for FREE! 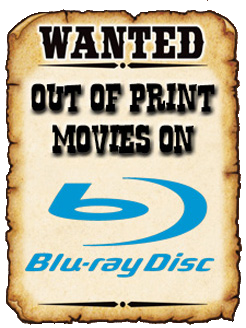 Prefer physical media? Expect a DVD of RED EYE to be announced in the near future!